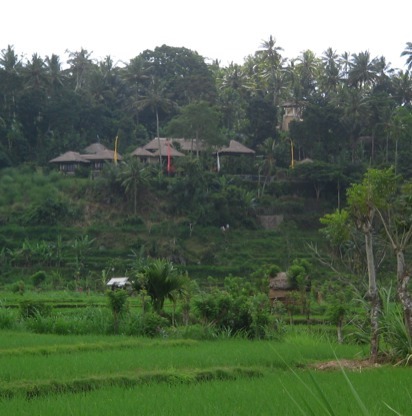 Kubu Carik: literally translated: A hut in the rice fields. Nestled in an oasis of green, overlooking the rice fields, Kubu Carik (pronounced Kubu Charik) offers a secluded retreat from the crowds. Everything you will need to escape from it all. Private bungalows with each its own balcony overlooking the endless rice fields at the foot of the majestic volcano Gunung Agung. Here at Kubu Carik the outdoors meets the indoors with all the open spaces like our dining area adn living area. Even from our fresh water pool you can enjoy the endless view. Probably one of Bali's best kept secrets in the East of Bali.